Java 8 and lambdas : ooooh, that's how it works, then. Disclaimer: several people "complained" about this code being overly complicated & verbose. Trust me, I did it on purpose to illustrate what many legacy Java apps look like these days. 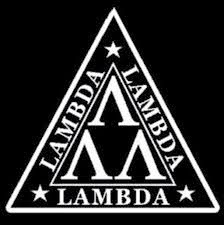 Hopefully lambdas can help us clean up some of the mess that has accumulated over the years. Read on! move it one position closer to the the front of the list. After some experimentation ("Cut and paste ? Yuck. Anonymous classes ? Meh! "), you would realize that these policies only differ by a couple of instructions and that there's an elegant way to factorize them nicely: behavior injection. A LinearSearchModeFactory class, implementing the Factory pattern to build LinearSearchModeXXX objects while hiding their internals. Here's the corresponding code. Pretty canonical, I guess. No more need for LinearSearchModeXXX and LinearSearchModeFactory, which is great because they really added nothing to the logic of our application. Pretty nerdy, huh? I like it. Less code, less bugs, less problems, more sleep! Adding another move policy would only mean adding a couple of lines, so less verbosity and more flexibility indeed. That's it for today. Till next time, keep rockin'.